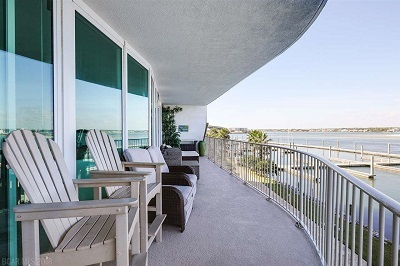 Orange Beach AL waterfront condominium home for sale at Caribe Resort.Beautifully furnished 3BR/3BA Bay Front unit with expansive views of the bay and islands. Under ground numbered parking spot. All of the Caribe Resort amenities come with the unit.